The TDA Series fans are specially designed diagonal fans, built to accommodate fan tray redundancy. In the event of one fan failure, the airflow from remaining fans can compensate by flowing through the original covered area. 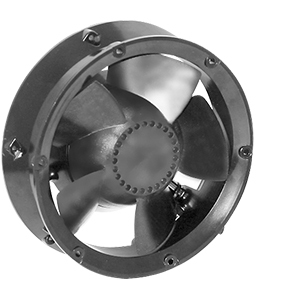 The TDA fan maintains a steady speed across the full range of operation, and has a cone-shaped impeller hub to spread airflow wider in order to cool a larger area.